Ipswich Witches needed a last heat decider to defeat Newcastle Diamonds 47-43 in the Premier League. The scores were level going into the 15th and final heat, but a Leigh Lanham and Morten Risager one-two earned the Suffolk side two points. 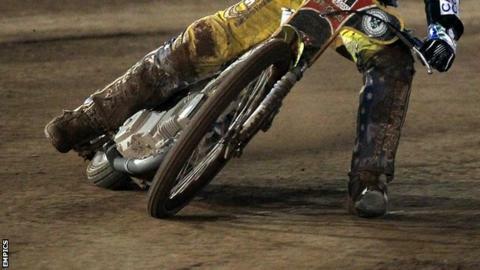 "Tonight it looked a bit dodgy at one point," Witches team manager Pete Simmons told BBC Radio Suffolk. "We've got to accept the win at the end of the day but we were so up and down again as we have been all season." He continued: "We were desperately looking for three points but at one stage it looked like we might not get any. "So to pull it back in the end was a good result for us." Ipswich: Lanham 12, Risager 11+1, Tresarrieu 9+1, North 8+1, Tungate 6, Bekker 1, Poole 0. Newcastle: Henry 12, Lemon 10+2, Nedermark 10+2, Robson 6+1, Toft 5+1, Starke 0.